Hi guys! I don't have many printed pieces, I usually get tired of them after using them two or three times, and these pants are no exception. I don't wear them very often﻿, althought I love the flower pattern. I combined it with this new jacket from Mango, since the weather here is really windy and cold. Olá! Não tenho muitas peças com padrão, geralmente canso-me de as ver depois de as ter vestido duas ou três vezes, e estas calças não são excepção. Não as costumo usar muito, apesar de gostar imenso do padrão floral. Aproveitei para as combinar com este casaco da Mango porque aqui no Porto continua frio e imenso vento. 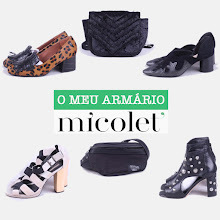 São giríssimas as calças e o conjunto é perfeito ! Why do I love this look! The pants look perfect with the blazer! love the jacket and pants, so pretty! We love your outfit, the combination of flower pants and this jacket is very beautiful! Absolutely loving these floral pants! I've a pair of such flower patterned pants as well, and you styled these really good! Precioso look. Estás muy guapa. perfect outfit, you look so pretty! The floral print is still so chic and cool, I can't get enough of it :). You look dashing :)!